This seems like a really good deal. 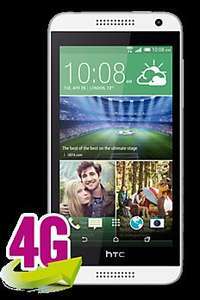 4G ready, stereo speakers, 8mp camera, memory card slot- a lot for the money! Available in white or blue from CPW. I'd say yes- much better camera and loudspeakers, if you like HTC's "sense" Android theme compared to the Moto G's basic Android then definitely. CPW phones will be unlocked. Good phone, only thing the MG4G beats it on is screen resolution I think? Really bad screen res. Avoid. The vodafone upgrade is £149.95 - does that mean its only applicable to vodafone payg customers? Just spotted that- sorry. Should have made it clearer in the title. Still, if you know someone who has a Vodafone PAYG SIM they could do it for you, as it just needs a valid Voda number. According to Wikipedia en.wikipedia.org/wik…ity this phone has a higher ppi than any Apple retina screen ever produced. Good enough for me. Meh. 960x540 at 234ppi won't win any awards, but perfectly adequate for … Meh. 960x540 at 234ppi won't win any awards, but perfectly adequate for this price range. You could probably pick out individual pixels if you really triedAccording to Wikipedia http://en.wikipedia.org/wiki/List_of_displays_by_pixel_density#Apple this phone has a higher ppi than any Apple retina screen ever produced. Good enough for me. The wikipedia page does not show that? Since iphone4 (960x640 326ppi) the resolution has been higher than this phone. Or did you only compare to the Macbook retina screens? Anyway, this may well be good enough, some people may want the trade of a better camera, Sense etc for lower screen resolution. According to gsmarena it does not have an infrared port whereas an earlier poster provided a comparison link which said it did. Anyone know ? As that might be a deal breaker for me but on the plus side this has 1080p recording while moto g doesnt. Many choices and stuck on what phone to get.. The Moto g definitely doesn't have an infrared port, as far as I know this one doesn't and I miss that feature too but except the screen resolution, I feel this is better than the G.
Seems rather good to me, that review was when it was £250, and is rather recent. Definitely up there with the Moto g 4g for the same money for me. The stereo speakers on the front would be great, has a very good camera, etc. Link to a review here:Your text here.A reasonable alternative to the Moto G 4g.Though this has a card slot I personally refuse to buy a phone in this day and age without at least 16Gb onboard storage. According to Wikipedia … According to Wikipedia http://en.wikipedia.org/wiki/List_of_displays_by_pixel_density#Apple this phone has a higher ppi than any Apple retina screen ever produced. Good enough for me. Link to a review here:Your text here.A reasonable alternative to the Moto … Link to a review here:Your text here.A reasonable alternative to the Moto G 4g.Though this has a card slot I personally refuse to buy a phone in this day and age without at least 16Gb onboard storage. It looks like Android L will be reintroducing proper microsd use. On the other side the camera in this as far as I have seen is waaaay better than MG ones but again in my opinion you don't buy a budget phone and expect it to have a decent camera. Also for me it can have best speakers in the world but I don't remember when is the last time I used mine I have a bluetooth one at home and I hardly ever use the speakers outside. But also you can get N5 or G2 for around 250£ these days and imo this is much better value than this phone. Wow a £100 drop since its release in May oO. The puny 8GB memory and chubby dimensions make this a non-buy for me. Heat anyway for the great price. I had this phone and returned it.the screen in all honesty is poor. resolution is fine but it has strange viewing angles top to bottom and sideways.almost blue-ish. also the phones huge for the size of the screen.